This is the twenty-seventh post in a monthlong series that started here. Each post will take about two minutes to read and may include an action item that takes the reader another two minutes to complete. I am writing this for an audience of people who know nothing about frequent flyer miles, and my goal is that by the end, you know enough to fly for free anywhere you want to go. Today I’ll continue the theme of cheap paid travel when you don’t have or don’t want to use points. This is a topic I love: saving 60% on hotels using Priceline.com. If you aren’t being reimbursed for your hotel expenses, and you have any flexibility over which hotel you can stay in, Priceline.com’s “name your own price” bidding tool can save you hundreds of dollars per stay, so bookmark this post! As the commercials say, hotels give their unsold inventory to Priceline to sell at a steep discount to get at least some revenue. We can swoop in and book hotels through Priceline for a fraction of the retail price, but you have to know the system. How does “Name Your Own Price” work? What trick allows us to circumvent the rules and make it work even better for us? What are the drawbacks of using Priceline that you need to know? How have I saved hundreds with the Name Your Own Price tool? Priceline categorizes its inventory by city and then by zone within a city. Priceline’s Name Your Own Price tool does not let you select a hotel in which you want to stay. All you can select is the quality of the hotel (in stars), and the zone in which you want to stay. If you need to stay in a specific hotel, do not use Priceline’s bidding feature. Another aspect to consider is that you earn no hotel points and no status for stays booked through Priceline. For me, this is not a problem because I don’t believe that hotel loyalty programs are worth the 150% premium I would often have to pay if I didn’t use Priceline. With those caveats in mind, if you still want to save 60% on hotels, scroll down on the Priceline homepage and click “bid now” under the hotel in the “name your own price” section. Type in the city, your dates, and the number of people. Now the city map will come up with a number of zones–New York has 18. You can click on a zone to zoom in on it. Do this for any zone you’d consider staying in to make sure you are willing to stay in the entire zone. Why? Because if you bid on a zone and win, you will end up with a non-refundable charge on your credit card for a stay that could be anywhere in the zone. Now decide which quality hotels you want to stay in. The Priceline star system does not necessarily correspond to any other star system, so click on each star level to learn about that star level and see what brands fall under that star level. Note every zone in your city of choice that has only lower quality hotels than you’ve decided to search for. Reread that sentence. If you want 4 star hotels in the Madison Square Garden – Convention Area section of New York, note every section of New York that has only 3.5 star hotels and below. The way to do this is to check each area’s box one at a time and see which do not allow you to check 4 or 5 star hotels because they have none. For instance, Zone 4, Coney Island, has no 4 star or better hotels, so we note that for later. Write down all these zones that lack 4 star hotels and above because each such zone is a free rebid that we’ll use later. For New York, there are four zones that lack 4 and 5 star hotels, I noted that they are zones 4, 8, 13, and 14. To make a bid, you have to give your credit card info because if your bid is accepted, the hotel is booked. You are given the hotel information, and a non-refundable charge is made to your card. You can only bid once per day. This is designed to keep you from bidding $1 per night and increasing your bid $1 at a time until you find the lowest price at which a bid is accepted. Luckily there are two ways around the one-bid-per-day rule. The first is that you can add lower quality hotels and rebid. The second is that you can add a new zone and rebid. This is a huge loophole we will exploit to save hundred of dollars. I think those are good starting points. 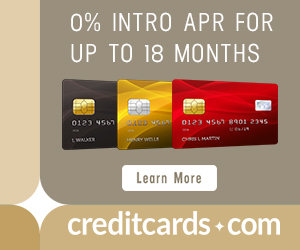 You will be prompted to enter your credit card info. And Priceline will show the total amount of your bid including taxes and fees, which will be higher than the amount you bid by about $10 per night. Submit the bid. There are three things that can happen. First the bid may be accepted. It’s unlikely that your first bid will be accepted, but if it is, your card will be charged, and you will have a nonrefundable booking at a hotel in one of the zones you’ve bid on. Second, the bid may be rejected outright. Third, the bid may be rejected, but with a counteroffer from Priceline. In either the counteroffer or outright rejection situation, you will want to continue bidding with a free rebid. Remember Step 3 of pre-bidding when I said to write down the numbers of the zones with only lower quality hotels than you are looking for? In this example, I want a 4 star hotel in New York, so I wrote down the four zones which had only 3 and 1/2 star hotels and below. Those zones are the key to free rebids. I have four zones, so four free rebids. I would space out my rebids so that I go from $40 to the highest price I’m willing to pay over the course of those four bids. So if I were willing to pay $80 per night, I would make my rebids $50, $60, $70, $80. If I had a surfeit of free rebids from the permutation method–ten in this case–I would just add $4 or $5 to my bid each time. How do you use a free rebid? You use a free rebid by adding one of the zones you’ve earlier identified as free rebid zones to a previous bid. When your bid is not accepted, Priceline brings you back to the bidding screen and offers the chance to add a zone or a lower quality hotel. Don’t add lower quality hotels to your bid. Do add exactly one zone during each rebid. That means my second bid will have two zones, Madison Square Garden – Convention Center and one free rebid zone. My third bid will have three: Madison Square Garden – Convention Center, my first free rebid zone, and a second one. Why is a free rebid free? Because I am looking for a 4 star hotel. That means Priceline will only book me into a 4 star hotel or higher. I am adding zones that don’t have such hotels. That means the only zone I can actually be booked into is still my desired zone, Madison Square Garden – Convention Center. I am getting free rebids by adding dummy zones that priceline cannot book me into! As you’re working through your free rebids, one may be accepted! Great. More often though, before one is accepted, Priceline counteroffers. The counteroffer looks like this, and claims that if you up your bid to a specific amount, the hotel is yours. Always decline; we’re very close to getting an even better deal! Common wisdom is that once Priceline counteroffers, you can usually get the room for about half the difference between your last bid and the counteroffer. At this point, decrease the amount between your rebids to a few dollars. Priceline will eventually accept one of these free rebids at a level below their counteroffer, and you’ve probably saved hundreds on a multi-day stay. Those are the basics of using Priceline to get your hotel after you’ve booked your free first class ticket to the exotic locale. If you want to learn more, here’s an entire blog on the subject. Now that you know how to exploit Priceline’s Name Your Own Price system, get to work saving hundreds of dollars on your next hotel reservation. Let me know your results. I used these techniques including multiple rebids and rejecting Priceline’s counteroffer to save 50% on a hotel room in March 2014. Check out that post here. Previous articleHow Much Does Award Space Change Day to Day? 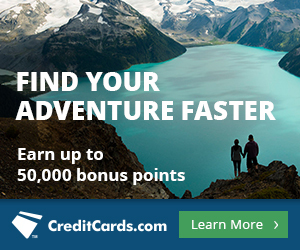 Next articleCan You Get the Bonus on the US Airways MasterCard Twice? Is it possible that Priceline has changed? Maybe because I’m looking for hotels in Istanbul, and not in the USA? Did you click “Name Your Own Price” on the home screen? Yes, I did. Only now I’m noticing that Istanbul has only 5 zones, and all of them have all the hotel cathegories, so this trick won’t work in this city. Good post. I use priceline quite a bit, and if you don’t mind, I would add two more tips. To get a pretty good idea of the results you might get, first try hotwire.com and see what prices you get there. Several users of both have reported that you can generally get about the same hotel (or at least star quality of hotel) for 10% less on priceline than on hotwire. Also, use betterbidding.com to research winning bids/hotels. Finally, my advice to others is to try and stick only with hotels that have at least an 8.0 rating or above. If I use that for Las Vegas is the resorts fees included or maybe ???? Yes it does paid at hotel could be good for a last minute thing ..
40% or less off ultimately. & often are NOT taxed.